As the late screenwriting legend William Goldman famously said; “nobody knows anything” so predictions – especially about technology – always run the risk of making people look silly in the not-so-distant-future. That said, I’m going to go out on a limb and say in the next few years we’re going to see more people becoming “Virtual Reality Refugees.” By which I mean immersive technologies will provide increasingly attractive alternatives for those wishing to escape the dreamlike madness that has overtaken our real world. This isn’t a completely new idea — it’s been explored in movies, literature, and tons of tech articles — but this past year has convinced me it’s not a far-off possibility, it will be our reality before we know it. This year has been a remarkable year for immersive technologies (which include the whole spectrum of Virtual, Augmented and Mixed Reality). 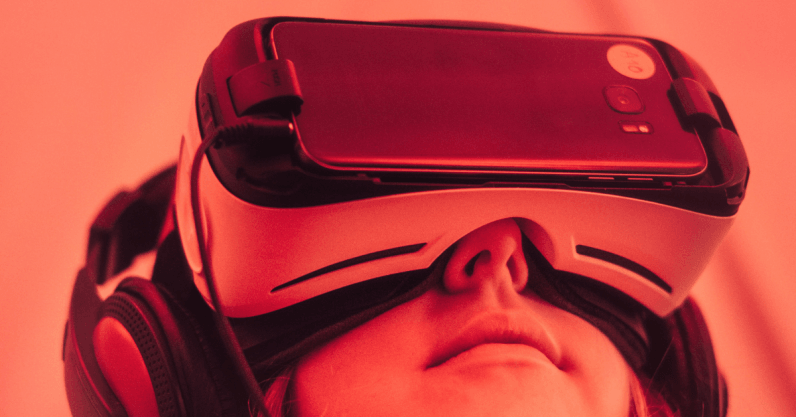 We’ve seen a compelling use cases emerge for AR, VR, and MR across education, industry, retail and training, as well as the increased acceptance of it as an art form, with festivals all over the world dedicating space to showcasing VR strands. The Raindance Film Festival, for example, received 600 VR submissions this year, including the first feature-length feature in the format. There’s little doubt the medium is growing up fast. Social VR companies like Sansar, High Fidelily, AltspaceVR, and others have continued to develop their platforms and build up their user base. Hardware, too, has evolved significantly this part year, with the long-awaited launch of Magic Leap and the release of the Oculus Go, which means it’s now possible to have untethered, six degrees of freedom experiences in a headset costing under $200. Although these technologies haven’t quite yet reached the equivalent tipping point that we’ve seen with the web or mobile, there is steady growth and predictions the market will continue to grow. Scientists agree we’re about to face increasingly dire consequences from climate change, and NGOs argue only radical action can hope to avert the next mass extinction. But while nature burns, democracies large and small, old and young, from Brazil to Italy to the US and many more, have chosen to elect populist governments that deny climate change is even real, and who openly advocate racism, misogyny, and intolerance, as well as a general contempt for institutions such as a free press. Even countries like Sweden, Germany, and Holland have seen far-right parties make significant gains in recent elections. Although this is certainly upsetting – in my case I’ve got four nationalities (US, Brazil, UK, and Italy) and have watched as each of the countries where I have a right to vote have swung towards such candidates – the underlying causes of the phenomenon are the most worrying thing. People everywhere are angry, they feel let down, cornered, hopeless. And that’s a dangerous position for nations to find themselves in. The global trend unequivocally points towards mass revolt, a lashing out in anger at institutions to make a point (regardless of whether the results harm everyone), and an almost gleeful willingness to throw out the baby with the bathwater. The situation has got so dire that over the past year I have found almost impossible to watch the news. I can take about 15 minutes before starting to shout at the TV like a mad person, and end up switching over to Netflix. And I’m certainly not alone. Many of my friends report similar behavior, and it’s a fact that in times of crisis there’s always a surge in demand for novels, blockbuster movies, video games, and anything else that offers a way out from a reality that’s become too painful to face on a regular basis. Troubled times also bring heightened demand for escapism. The Romans – who knew a thing or two about building empires and keeping people in check – understood this all too well, a concept known as panem et circenses. The Roman concept was centered around the idea you need to provide people with bread and circus in order to keep them under control. It’s therefore no coincidence some of the Romans’ greatest infrastructure projects were temples dedicated to the concept of mass distraction, like the magnificent Colosseum. It’s basic human nature, after all, and we’ve never stopped doing it. The only difference is our future Colosseums are likely to be virtual spaces. As part of my job I spend a fair amount of time in simulated worlds, trying out virtual experiences, and I’m always struck by how powerful they are in relation to even the best movies or video games. The sense of presence you get with VR really is something else. I believe once more people have the chance to experience just how powerful that sense of presence, of truly “being” somewhere else both physically and psychologically can be with these technologies, the consumer demand for it will be overwhelming. Which got me thinking that the scenario conjured up by Ernest Cline in Ready Player One – which Steven Spielberg made into a film in 2018 – might not actually be that far off. Sure, the novel/film at first seems to depict a far-fetched futuristic dystopia, but the elements of that universe are all too familiar. In the story, mankind has damaged the environment to the point where natural resources have basically ran out, causing economic collapse and – consequently – political uncertainty and war. At the same time, technology has advanced sufficiently so that it’s possible for most people to access highly detailed and sensory-rich virtual worlds on a semi-permanent basis. A bit like the scene in the Matrix where Cypher is eating a juicy steak, and tells Agent Smith that he knows it isn’t real, but doesn’t care. Although we’re not at the Matrix stage quite yet (unless you subscribe to the theory that we’re already trapped in a Matrix) the pace of development with immersive tech has been nothing short of remarkable. In the past year alone, I’ve gone from mostly experiencing VR in short bursts to comfortably watching a feature-length film without a hint of nausea or discomfort. I believe it’s pretty much inevitable that the technology will continue to advance exponentially, driving quality up and prices down, shrinking hardware to the point where it will effectively become invisible. But will we get there in the 2019? Possibly not. The latest forecasts have revised some of their initial exuberance about sales of VR and AR devices, so it’s a safer bet to look at the long game. Think about the last time you looked around and noticed – really noticed – all the people around you checking their phones? The ones that weren’t were probably just done checking or just about to. We have become thoroughly dependent upon the stream of digital information that plugs into our daily lives through those mobile devices. Already that technology is nearly invisible, but fast-forward five or ten years into the future (if we make it that far before civilizations collapses) and I’m willing to bet that most of us won’t be using a screen-based device you need to carry around, take out of your pocket or fish around in your bag for, hold or touch in order to interact with that data stream. It will all be done through wearables, gaze, voice, predictive AI, all integrated into the Mixed Reality spectrum. As Alex Kipman has said, this is nothing short of the next revolution in personal computing, and it will make the disruption caused by the Internet and mobile pale in comparison. There is a huge vacuum for someone to build the equivalent of the OASIS described in Ready Player One – a massive alternative universe where people can effectively live out their virtual lives and forget all about the crazy mess that humans made for themselves in the real world. Somewhere which allows people to build their own safe spaces and inhabit them without ever needing to interact with troublesome “others.” It’s an extrapolation of the patterns we already see emerging in social media, where algorithms aid us in constructing bubbles which perpetually reinforce our beliefs – and often our misconceptions and prejudices too. Will 2019 be the year this VR escapism really starts to take off? I believe we will certainly hit a lot more significant milestones over the next twelve months, but whether the long-awaited consumer boom comes in a year or five is not actually that relevant. What’s clear to me is that it is coming, and we should probably prepare for it. Although if humanity’s attitude towards climate change, or Brexit, is anything to go by, we probably won’t.